Note: Cameras are not allowed on the Skywalk. Guests are picked up from their hotel. Check-in for your flight and activities. Must present government-issued identification. 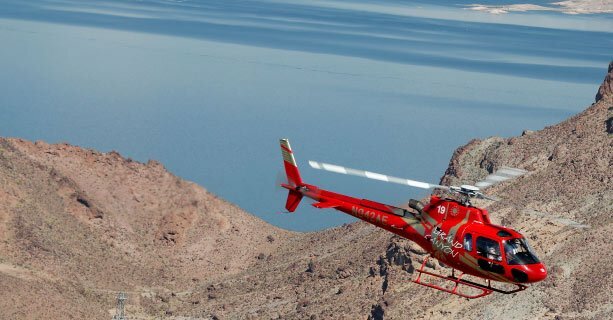 Enjoy spectacular views of the Black Mountains, Grapevine Mesa, Hoover Dam, Lake Mead, extinct volcanoes, and the West Rim of the Grand Canyon. 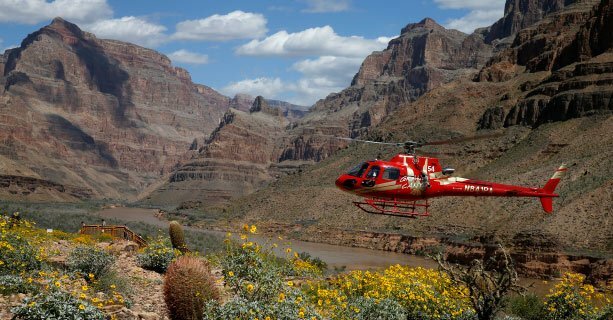 Upon arrival to the Grand Canyon, board an express shuttle for transfers to the Skywalk glass bridge. 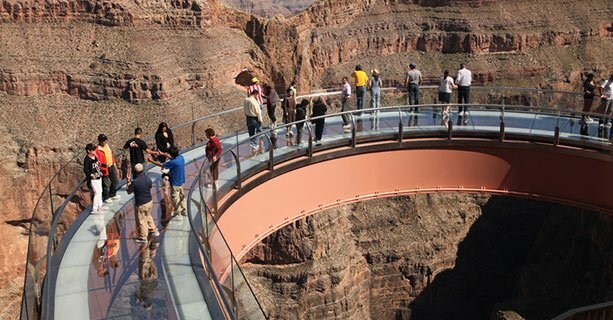 Receive front-of-the-line admission to the Skywalk. 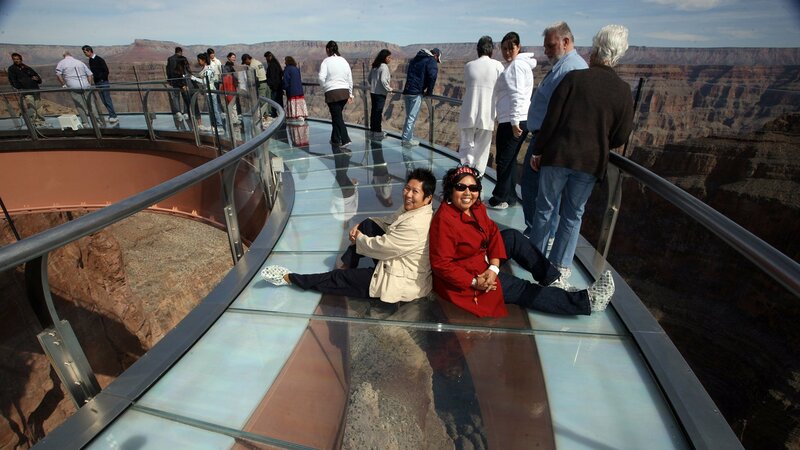 Experience thrilling views of the canyon as you make your way around the glass bottom bridge. A souvenir photo of your Skywalk experience is included. 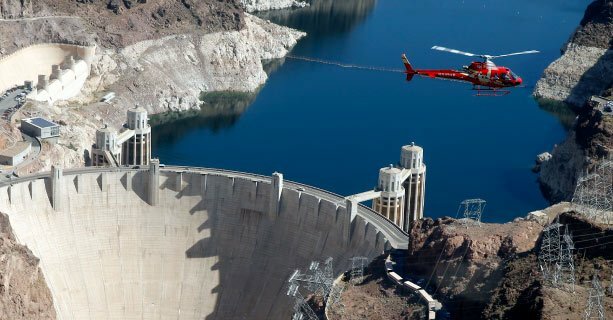 Guests are returned to our terminal by helicopter and transferred to their respective hotel by shuttle.